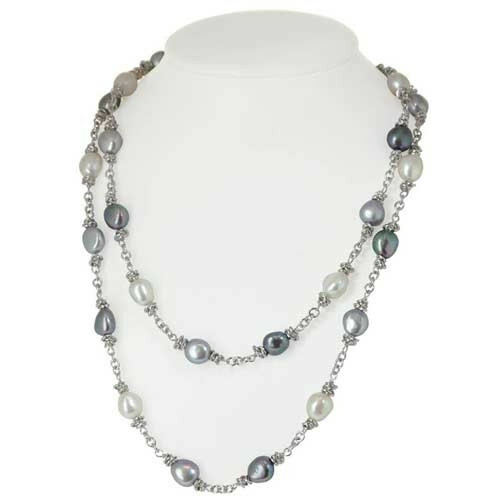 Honora reveals true beauty with this 36" sterling silver and black, white and gray freshwater pearl necklace. Beautiful baroque pearls merge with sterling silver chain-link details for an all day to all night appeal. The length of this necklace gives flexibility allowing you to adjust the style to your personal taste.